Holika Holika is definitely one of the overlooked Korean makeup brands. Holika Holika Enamel Volip Tint. Watch the performance on a video format-! An easy coral pink that will never fail on any skin tones. Perfect for daily wear, to work, to school and even to a date! A warm peachy pink that I'm absolutely obsessing over. The color definitely varies according to your natural lip colour. whereas if you have naturally flushed lips, it will apply more as a tangerine coral. This is the most subtle and softest one out of the entire shades. Sunny orange colour that instantly boosts an happy energy inside of you! Playful, cheerful vibrant orange that leans warm. Perfect pairing with crisp black eyeliner. A vibrant bubble gum pink with a violet element. This is the only true pink shade that's available from the shade range. This colour reminds me a lot of Korean actresses with fair complexion rocking in K-Dramas. Spotted on runway, 2016 trend colour, aka a perfect apple red! This baby is a TRUE GEM that's probably the perfect match with this formula and the finish. An intense orangey red will brighten up your complexion. I suggest you to amp up the pigmentation and colour outside the line to achieve a full-voluminous lips. This colour itself is alright but it's not an ideal match with the juicy texture. I always think it's a win for a matte-vampy lips over a glossy-burgundy. My very first impression was; "My lips look perfectly photoshopped!" that I've never really experienced from anywhere else. The sheen is beyond glossy, more like a glassy highlight I would describe. without any heaviness nor stickiness. 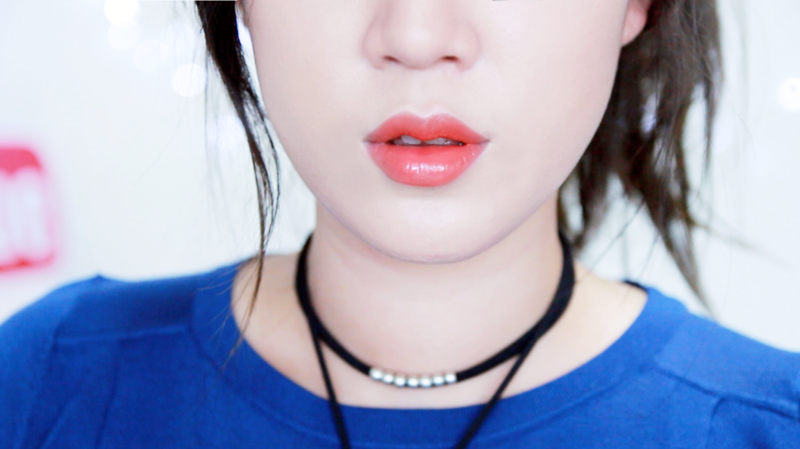 This lip product is definitely opaque but there's still room to sheer it out as well. 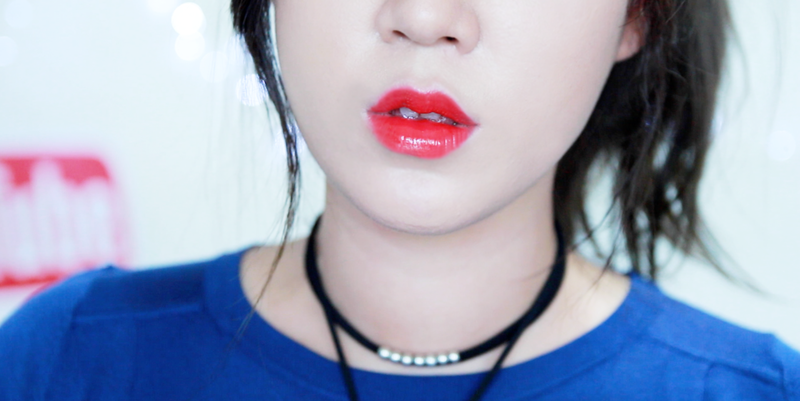 However I don't think Holika Holika Enamel Volip Tint is best for soft gradient lips. All the colours are free of shimmer as well. however it's still a lip tint which will eventually dry your lips by the end of the day. Otherwise you can keep re-applying this throughout the day to maintain the glossiness and hydration. so it very kind to chapped and shredded lips. 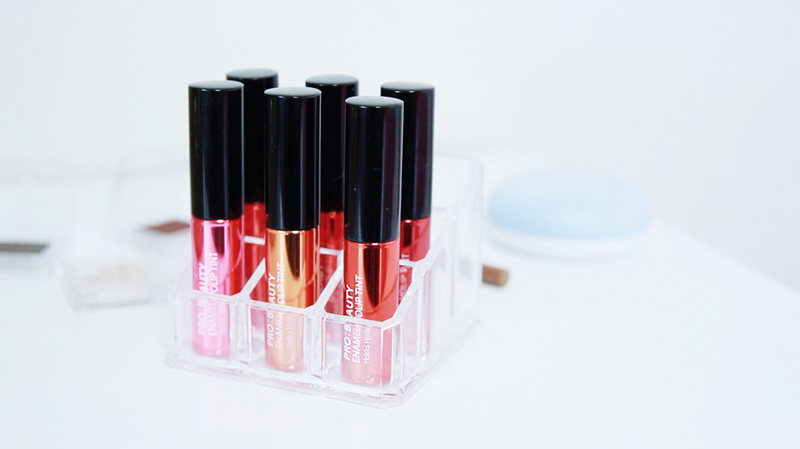 which means Holika Holika Enamel Volip Tint killing the tint-in-oil game. Definitely worth stocking at least two shades. However, if you're not a big fan of saturated lips, skip this. Ok, cuz of you 02 will be mine :D Say hello for my number 4512634 lip product,lol! wow. love your photos. what camera are you using?